Home /Blog/Walmart Beauty Favorites Boxes as low as $2!! 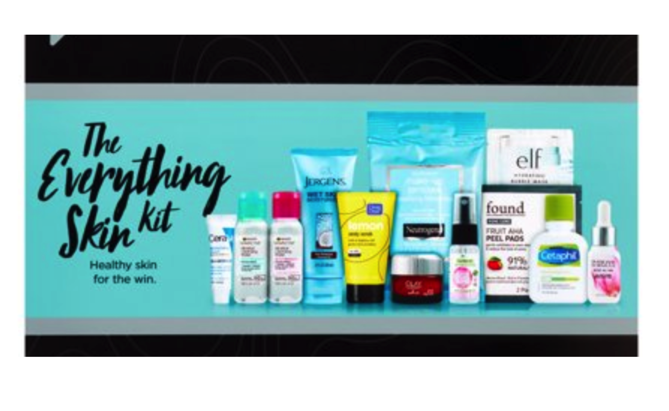 Walmart Beauty Favorites Boxes as low as $2!! Have you ever tried these Walmart Beauty Favorite Boxes? They’re such a fun way to sample multiple products at once — for a low price! Walmart is currently offering nine different Beauty Favorite Boxes for less than $6 each! Prices start as low as $2! You can grab one of the cosmetics boxes for $2-$4, or you can grab one of the skincare boxes for $5-$6! They even have boxes for men. Remember to choose FREE in-store pickup to avoid shipping fees. Simply & Smartfood Delights Variety Pack, 36 count only $11.66 shipped!